Probably the reason why Surya has managed to stay out of controversies and gossip. “I don't party or hang out in pubs. I try not to spend unnecessary time outside my home. Moreover, regular shooting schedules and back-to-back films sap you of energy and all one wants is to chill out at home. Fortunately, our family background and the way we have been brought up has helped us maintain a modest lifestyle without the trappings of power and riches,” says Surya. In 7am Arivu, Surya has for company Shruti Haasan, who is making her debut in Tamil films. How was it working with her? “In the beginning, I was a bit in awe because she is Kamal-sir's daughter. I wondered how it would be acting with her. But, once we started shooting I realised that she was not just talented, but hard working and puts in all her efforts to make every scene perfect. Like her father, she is a storehouse of knowledge. For Shruti, this is her entry into Tamil and from what I have seen of the rushes, she has a bright future. To start with, her Tamil is impeccable!” says Surya. 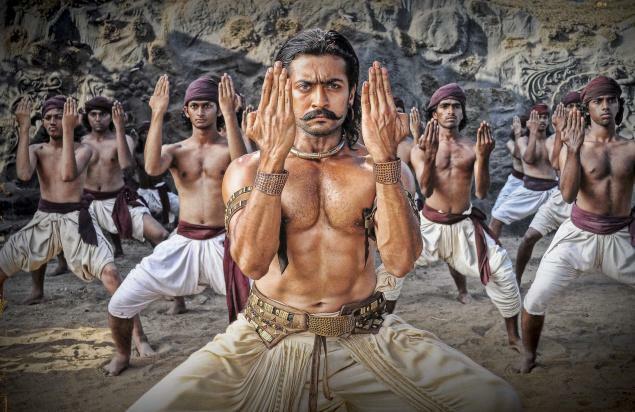 Shooting for 7am Arivu has been a breeze for Surya. “I have worked with Murugadoss earlier and believe his instinct. He is a meticulous director who takes care of every aspect of the film. I am particularly charmed by the songs in 7am Arivu and the way they have been picturised. Harris Jayaraj has come up with excellent compositions and I am sure, some of them will become instant hits, even before the film's release,” points out Surya. 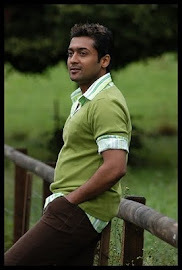 With 7am Arivu wrapped up, Surya has moved on to director K. V. Anand's Maatran, of which two schedules have been completed. “I have worked earlier in his Ayan and have seen how he has done Ko. Anand is remarkable, both as a cinematographer and director. He excels in detailing the script to the last word and plans every sequence so meticulously, even if it is there for a few minutes in the film. 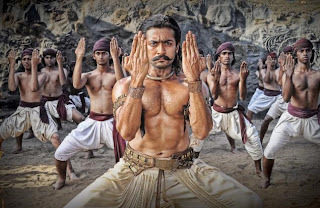 It is a treat to work for Anand and, after 7am Arivu, this film will be a different experience altogether,” says Surya.